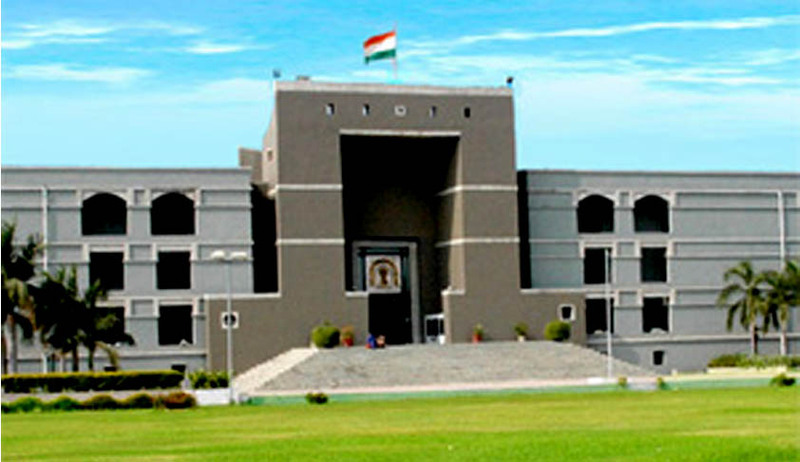 The Gujarat High Court has dismissed the writ application of a former branch manager of a Gramin Bank in Manishkumar Arjanbhai Patel v. Saurashtra Gramin Bank & two ors., who was removed from his service on the account of charges of misconduct and negligence in discharging his duties, stating that a delay, by itself, would not vitiate departmental inquiry as sometimes charges may be so serious that the issue of delay pales into insignificance. The decision taken by the court through Justice JB Pardiwala was arrived at after careful examination of the facts and after being assured that the procedure of inquiry was carried out in accordance with law. In this case, 21 charges were alleged against petitioner MA Patel while he was serving as the branch manager of Gramin Bank, Jamnagar. A departmental inquiry was instituted against him the result of which was that all the charges were established by the inquiry officer. The disciplinary authority, i.e. chairman, Jamnagar Rajkot Gramin Bank, head office, removed Patel from his duty. Patel appealed to the board of directors and also to the court (single judge), but his appeal was dismissed both the times. The charges mentioned in the order of the disciplinary authority included falsification of record, unauthorised absence, violation of norms of advances and non-compliance with terms and conditions of the advances, release of advance in excess of powers as a manager of the bank. He had requested that an advocate or any person from the officer’s association may be provided to him so that he could be defended. Even though he was granted the permission, the representative abandoned him in the middle of the inquiry, upon which he made a subsequent request, which was declined. Hence, the inquiry proceeded ex-parte. Answer of Bank’s counsel: There was no provision for the delinquent to appear before the Inquiry Officer with an advocate. It was unfortunately for the writ applicant that his representative also disowned him, but this wasn’t a fault with the Gramin Bank. Second argument was that for the acts of misconduct alleged to have been committed in 1992-93, the charge sheet was issued in 1995 and, ultimately, the order of removal was passed in 1999. Thus, there was a delay in carrying out the inquiry. Answer of Bank’s counsel: Considering the fact that a detailed and comprehensive charge sheet was required to be prepared containing as many as 21 charges having deep and immense gravity, the bank with its limited infrastructure and staff strength was justified in taking some time in preparing the same. In the end, the court rejected the submission of Patel that the inquiry against him was made with malafide intentions, saying: “I am not impressed by the submission that the entire action against the writ applicant was malafide and was at the instance of the chairman of the bank. Once the charges are held to be proved on the basis of the evidence on record, the issue of malafide, thereafter, pales into insignificance.” And with this, it dismissed the petition. Topics : departmental inquiry | Gujarat High Court | Justice JB Pardiwala | Manishkumar Arjanbhai Patel v. Saurashtra Gramin Bank &amp; two ors.